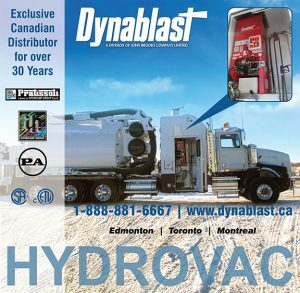 Dynablast is the exclusive 30 year Canadian distributor for Interpump, Pratissoli pumps & PA, with a wide range of products for the Hydrovac industry. Dynablast boilers are designed for Hydrovac in solid works and are build tough to handle mobile application. 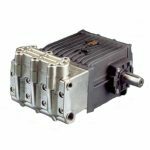 Models are available in 12V or 120V with or without steam, made in Canada and are ETL / CSA certified for safe use. Dynablast can also supply customized boilers to meet OEM requirements. Interpump & Pratissoli pump models for Hydrovac 10 GPM @ 3000 PSI to 20 GPM @ 4000 PSI with direct mount SAE B or C Bell housing and coupler to easily mount the Hydraulic motor for perfect alignment. PA for unloaders, safety valves, trigger guns, rotary nozzles and dig wands. Dynablast Hydrovac dig nozzle has a removable cover and is made from HD polyethylene with an ATEX complaint anti-spark material for safe digging around utilities. The nozzle body is made from 303 stainless steel and comes with a tungsten carbide nozzle and seat for wear resistance. Overall Dynablast mission is to build long term relationships with our valued customers and provide the utmost in customer service.